Once seated, there may seem nothing very remarkable about The Clink. It's a smart restaurant with relaxing music and mood lighting. However, to get to your table you'll have to undergo a security check because The Clink is located inside one of Britain's Super Prisons. The contrast between life inside and the luxury of the restaurant couldn't be starker. This film is the story of both - of the inmates who work in The Clink and are looking forward to release, and the chef who wants to help them turn their lives around. 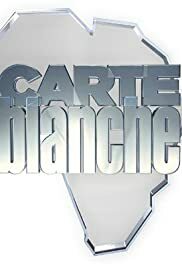 Carte Blanche brings you this special report.